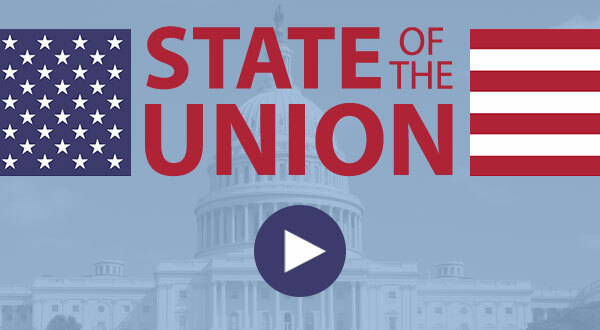 Watch AGU CEO/Executive Director Christine McEntee’s response to President Trump’s State of the Union address. AGU is actively working to improve and strengthen the policy environment for all scientists. You can join us in these efforts by contacting your policy makers about the value of science. Make your voice heard today! Hosted by AGU in conjunction with other scientific societies, this Congressional Visits Day connects climate experts with their legislators to ensure policy makers have the most accurate and current climate science information available from trusted local sources. This year’s event will take place on 12-13 March 2019. Participants will attend a half-day workshop on Tuesday and meet with their legislators on Wednesday. Email sciencepolicy@agu.org by 12 February if you are interested in participating or for more information. AGU sponsors one student each spring to attend the Catalyzing Advocacy in Science and Engineering (CASE) Workshop in Washington, D.C. This crash course in science policy and advocacy is great for upperclassmen and graduate students, who have a strong interest in policy and outreach, but limited experience. The workshop will take place 24-27 March 2019 and concludes with Congressional meetings. Applications accepted until 10 February. AGU’s The Bridge blog features pieces that connect science and policy for scientists, policymakers, and communication experts. If you’re working at the interface of science and policy, have a science policy story to tell, or want to talk about your advocacy experience consider submitting a piece to The Bridge. Meet with your legislators and share your science while you are in Washington, D.C. In-person visits from constituents are one of the most effective ways to persuade a member of Congress to act or take a position on an issue. AGU will prepare, guide, and accompany you on your visits to ensure you have successful meetings. To properly plan, AGU requests that you give us at least 2 weeks notice. If interested contact us at sciencepolicy@agu.org.